Is A High Deductible Major Medical Policy Right For You? 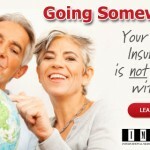 Many people planning to retire abroad start saving for self insurance plans. Although it’s good to have a reserve on hand, major medical expenses can run to such high totals that self-insurance isn’t a reasonable option even for the wealthy. A high deductible major medical policy can be a good compromise. With typical, domestic health care policies, medical insurance pays a portion of medical bills, helping to make routine medical care more affordable. HMO policy plans focus on paying all but the smallest amount of every procedure. A major medical policy reverses the typical health care policy and pays for the excess expense of high priced procedures but covers little of the costs of routine visits and other inexpensive medical treatments. The payout for a major medical policy begins when the chosen deductible amount has been met. High deductible policies have deductibles in the thousands of dollars, meaning they pay for only the most expensive medical treatments. In exchange, the higher the deductible on a policy, the lower the premium payments. 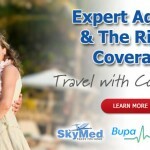 Combining an international, high deductible major medical policy with a health savings account is a great option for expats. If you choose a $10,000.00 deductible, set that amount aside in an account specifically ear marked for health care and contribute what you can each month. Although HSA’s are only available with domestic, US health plans, setting aside your deductible will offer you piece of mind during a medical crisis.